Is Shared or Joint Custody Better in Virginia? Some parents struggle more than others with shared custody of their children after divorce. Ashburn, Virginia resident Kirk D. Holland recently lost control during a child custody drop-off and now faces domestic assault and other charges, according to The Patch. For most parents, though, shared or joint physical custody is preferable to sole physical custody, and small distinctions separate shared from joint custody. All are custody options available to Virginia parents. Benefits of shared custody over sole custody are obvious: each parent enjoys the ongoing relationships with the children in equal portions. 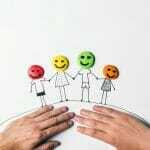 The children do not view one parent over the other as the primary caregiver, expenses for the children are split as equally as possible, and parents are encouraged (by the frequency of interaction) to maintain friendly relationships with one another. Shared custody also splits expenses for visitation travel fairly evenly; in sole custody, the visiting parent pays the freight for going to the primary custodial parent’s home (often the original family home), picking up the children, and taking them back to the non-custodial parent’s residence. Joint or split custody does not pursue a pure division of time for the children; rather, it seeks a good accommodation of both parents’ schedules and, primarily, what is best for the children. In Virginia, children in divorce are protected many times over in the law. The ethic is, “the best interests of the child,” and both circuit and general district courts keep the child paramount in decision-making. This arrangement, though not as equitable as shared custody, may actually work better with many parents’ work schedules, vacation availability, and children’s school calendars. If you and your ex-wife are at odds over custody, getting a shared parenting plan to work can be difficult. 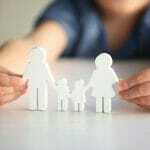 You and your attorney may want to first propose a modifiable joint or split custody arrangement. Many mothers and fathers, their marriages already broken, find letting go of their children simply unbearable. In that case, you may need to be the “bigger parent” and offer her custody of the children in a greater portion than you get, as a start. Ensure that your attorney makes the custody order modifiable, though, so you can approach the situation again after tempers have cooled and hearts have healed. Perhaps a year after the divorce (or parting of the ways, if you two were not married), you and your attorney could petition the court for a shared custody arrangement. During the “cooling off” period in which your wife has greater custody, highlight for her the benefits of shared custody. If she mentions struggling with vacation schedules, offer to take the kids for more time than the property settlement agreement dictated. If the two of you agree (and you enshrine the decision in writing), you can always offer more time with your children and she can enjoy a break from single motherhood. Then, once she realizes she can “let go” a bit, explore shared custody. Remember, though, what works for the two of you is less important than what helps your children. Keep them in the forefront of your mind as the four of you (you, your attorney, your children’s mother, her attorney) work to see if shared custody is right for both parents. At The Firm For Men, we work every day to protect Virginia men in court, in dealing with their ex-wives, and in securing custody of their children. Every type of family law is what we do, and we are very good at it. Please contact us online or stop by our office today to see how we can help you with your custody, child support, or visitation case. How Does Shared Physical Custody Work? 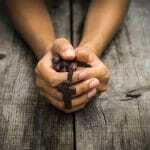 Religion & Child Custody: Which Parent Gets to Choose? By Jason E Swango|February 11th, 2019|Categories: Child Custody, Children & Parenting, Family Law|Tags: Code of Virginia, joint custody, shared custody, Virginia code, Virginia courts, Virginia Law|Comments Off on Is Shared or Joint Custody Better in Virginia?